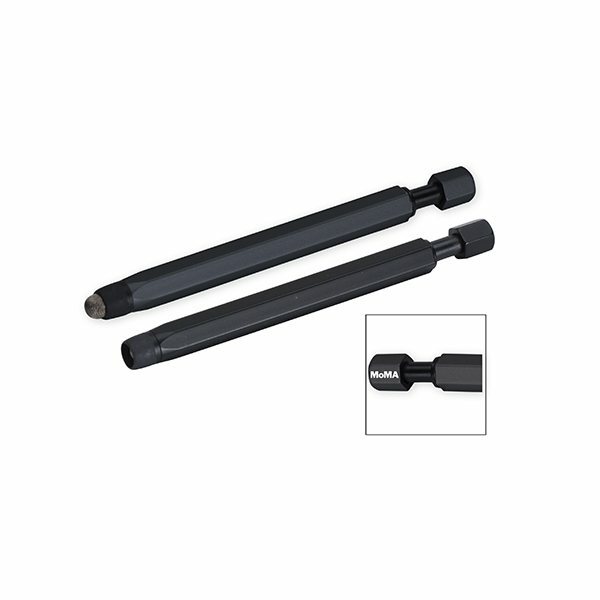 Click-down, aluminum retractable stylus with high-sensitive conductive fiber cloth. Matte black or metallic silver finish. MoMA logo screened on cap. We found the product was of very good quality. I was very pleased with the product. this was a perfect item for our purposes it satisfied our intended use of the product at all levels price, quality, usefullness to our customers and promotional quality. It looked great. I like the weight of it. It looks great. A bit wrinkled in packing, but happy with the product and printing. I was very happy with the ultimate product!Very cool. the presentation of the product was very good. It turned out perfect.